San Francisco-based underground tech house and bass music label Dirtybird Records' yearly three-day Dirtybird Campout music festival is all set for its inaugural expansion to the East Coast in February 2018. The new festival is aptly titled Dirtybird Campout East, and standing tall atop the first batch of performers announced are big names like Just Blaze, Mija and Soul Clap, along with label boss Claude VonStroke and Dirtybird festival mainstays such as Justin Martin, Christian Martin, J. Philip, and Justin Jay. In keeping with its West Coast forbearer, the first East Coast edition of the festival will feature a broad range of talent encompassing techno, trap, hip-hop, deep house, tech funk, and all manner of sub genres in between. 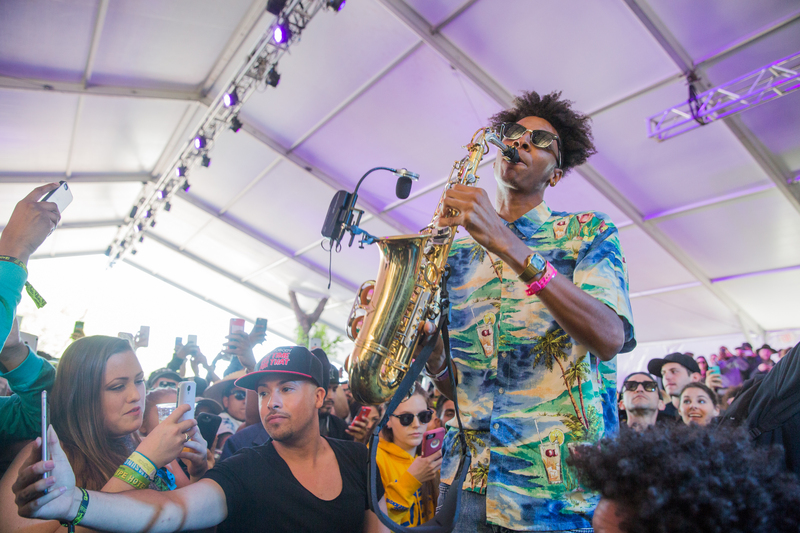 Dirtybird Campout East will take place on Feb. 2–4 in St. Cloud, Fla. Tickets will go on sale on Nov. 4. The first phase of headliners and supporting acts for the 20th-anniversary installment of the massive three-day electronic dance festival ULTRA has officially been announced. 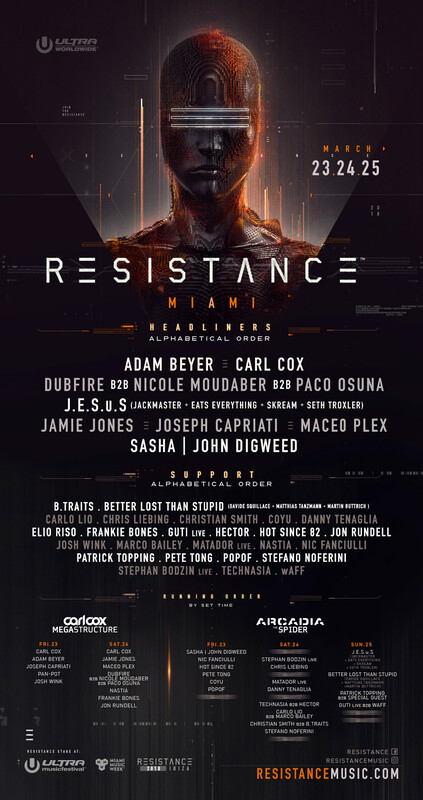 Many of the biggest names in dance music, including previous ULTRA headliners, are featured heavily in the phase one announcement, which touches all major dance/electronic genres fairly evenly. Names like Carl Cox, Armin van Buuren, Eric Prydz, RL Grime, Empire Of The Sun, the Crystal Method, Infected Mushroom, and Marshmello are certainly no surprises for any dance festival lineup these days. But there are a few unexpected bookings as well, with controversial rap/hip-house artist Azealia Banks joining the live headliners group alongside the somewhat surprising inclusion of the Wailers and Julian Marley. (How might a classic reggae act play off against a surrounding sea of thumping bass music?) There's also Porter Robinson's mysterious new hard house/trancestyle project VIRTUAL SELF. The 20th installment of ULTRA Music Festival will take place on March 23–25, 2018, at Miami's Bayfront Park. Some GA and VIP tickets are still available but are likely to sell out soon. Moby Announces New 2018 Album, First Single "Like A Motherless Child"
The third voyage of Parahoy!, the rock festival cruise spearheaded by Paramore, is ready to set sail in April 2018. This week, members of Paramore announced which artists will be tasked with keeping partygoers rockin' all through the four-day Caribbean excursion. Setting sail from Miami and meandering down toward Nassau, in the Bahamas, the festival's list of performers will include Local Natives, Judah & The Lion, mewithoutyou, Now Now, Halfnoise, and Mija. Paramore themselves will also play a pair of headlining sets. Comedians Jordan Rock and Ryan O'Flanagan will put in appearances in between sets of live music, and Paramore promise the cruise will also include a special Q&A with the band, some "Paraoke" sing-alongs, and other fun activities hosted by each band member. Billed as "2,600 Paramore fans, dozens of wild activities, 1,000s of high-fives, and ALL the FEELS," the festival is sure to have something to entertain fans of all ages — though all minors and young adults under 21 are required to travel with an accompanying adult. Parahoy! 2018 is currently sold out, but interested cruisers can still sign up for the official waiting list to be notified if additional berths become available. More information can be found on the festival's website.